The Tu-160 is a Russian strategic bomber developed by the Russian company Tupolev and manufactured since 1980. 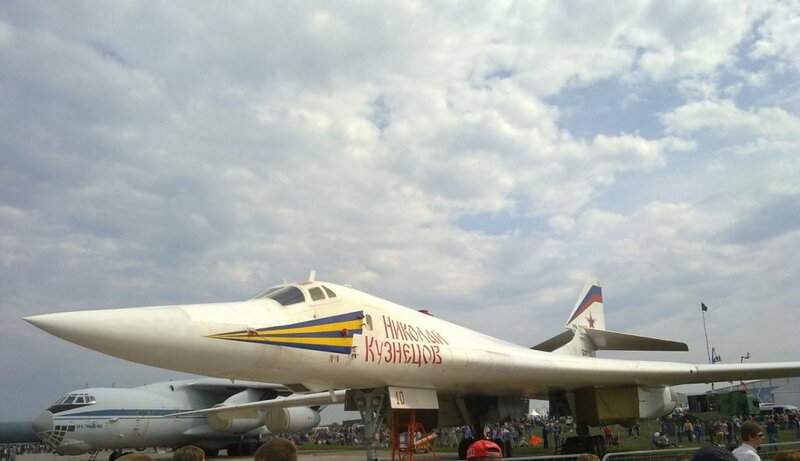 The Russian Air Force has a inventory of 14 Tu-160 bombers where of the first was delivered to the Russian Air Force in 2000. The Tu-160 bomber can fly supersonic speeds (> mach 1.2) and can carry conventional and nuclear weapons.